Top 50 for Women” – by Golf For Women Magazine (Number 25 in the US). Located on the south end of the Grand Strand, and as part of the Waccamaw Golf Trail, Willbrook winds its way amid a centuries-old oak forest where nature abounds. It was recently featured on the award-winning television show “Nature Scene” for its peaceful coexistence of golfers and nature. The par-5 15th hole, demonstrates the many challenges of the wetlands, waterways and stately oaks used in this great design. Willbrook is known for not only the tactical play ability required, but also for the natural surroundings you’ll experience. This makes it a favorite of returning women golfers. Ask about the Prime Time Signature Package, and get a FREE ROUND with preferred tee times, or book Real Time TEE TIMES ONLINE. KIDS PLAY FREE EVERYDAY with a paid adult. From the time we arrived until the time we left , our group of 6 females were horrendously treated by the staff of this course. With the exception of the woman operating the beverage cart. The billing as a female friendly course is false. Women are not welcome at that course. We are accused of : being late ( we were not); being slow ( we were not, kept up with the pace of play, and the he slow group of males ahead of us); were hit into 4 times on the back 9; were told that as the course did jot have a Ranger, the “alleged problems” we encountered were ours, not theirs; we were treated in a demeaning, disrespectful and discriminatory manner. Women, do not play at this course. 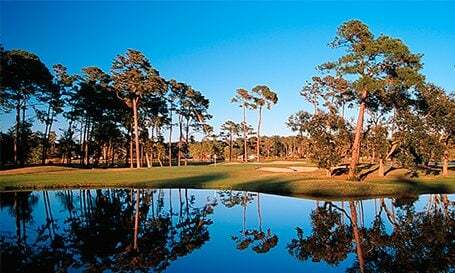 There are too many other great courses in Myrtle Beach that are, in fact, friendly, toward ALL people. From the moment our group of women arrived until we drove away, we were made to feel unwelcome. It was the worst experience that I have ever experienced in my 25years of golf. Accused of arriving late, we were 15 minutes early. Playing at pace and waiting on most holes, we were told we were playing slowly and that was why the group of men behind us was obligated to hit into us four times. Incredible! Willowbrook Plantation is located on Pawney Island and is roughly 30-45 min south of Myrtle Beach. This course is in a gated golf community that was once a rice plantation. When you arrive at the course your first impression is a bit misleading. The clubhouse is a good size and the bad drop is a bit disorganized. But that's where the critique stop. Willowbrook Plantation is a top notch golf course that is not only pleasing to the eye but is extremely well maintained. The tee blocks are level. The fairways are wide and green. The greens run fast and are receptive to approach shots. Unlike all other course played in the Myrtle Beach area this course showed no signs of a reported hard winter. What was really enjoyable about this course is that it is playable for both men and women. If you are looking for a Plantation golf experience at a good price ($45 afternoon) take a drive and go to Willowbrook Plantation. You'll be happy you did. It's a tough but fair and beautiful course. Staff and course were all excellent in providingl a superior day of golf enjoyment. Course is tough but fair and I look forward to playing it again. Great course and will play again. Had an excellent time and course was in amazing shape. Course was in very good shape. Greens were nice and fast, something you don't see at most courses this time of year. Only areas that needed work were the sand traps and waste areas. Course is good.. Staff was very unprofessional and rude. We had a group of 54 to play this course... of which traveled from four different states. The staff could have cared less. This will be the last time we will book this course. I'm sure there are several courses that would love to have this number in a group..
Had a fun morning. Good variety of holes -- especially enjoyed the four closing holes. Pace of play was pretty slow, at almost five hours.